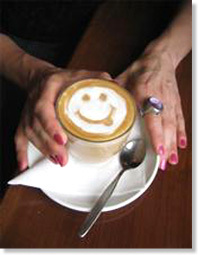 Welcome to the OnlyMelbourne Newsletter & Guide to Melbourne Events, Exhibitions, Sports and Community - June 18 - June 24, 2007. This Week.. Melbourne Storm celebrates 10 years, the Melbourne International Animation Festival begins, and don't miss out on our Finding Nemo - Disney on Ice competition with a Family Pass up for grabs! We also have AFL match details (all one of them!) and much more info on many upcoming events and highlights in beautiful Melbourne, so read on and enjoy! Finding Nemo dives down under! You all loved the movie, and now's your chance to see Nemo and friends live on ice, when Disney On Ice presents Disney/Pixar's Finding Nemo! We have a family pass of four tickets to give-away for the Melbourne show on Friday 6th July at 7pm courtesy of Optus. 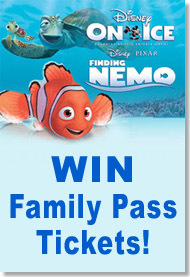 Click on the Finding Nemo picture (right > ) and tell us in 20 words your favourite character in the film Finding Nemo? Last entry 30th June 2007. Winner announced on this page on 2nd July 2007. 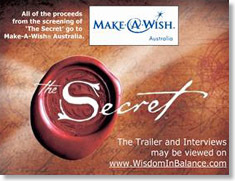 The Secret - Make-A-Wish Fundraiser - On Friday, 22 June, 7:30pm at the Geelong Performing Arts Centre, there will be a public screening of multi-million dollar cinematic extravaganza The Secret. 100% of all the proceeds will go to Make-A-Wish Australia, bringing magic and joy to children and young people with a life-threatening illness, by granting their most cherished wishes. 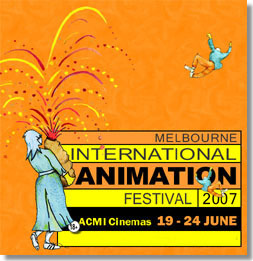 Melbourne International Animation Festival begins this Tuesday, June 19 and runs until June 24. Now an annual event, the festival is Australia's largest celebration of animation from all over the world. With over 300 films on show, the Festival brings the best of the world's animation to the heart of Melbourne, offering an exciting, intriguing, inspiring, and sometimes controversial, thoroughly comprehensive collection of animation! Join Melbourne Storm at the Official 10 Year Commemorative Dinner and celebrate Melbourne Storm's triumphant 10 Years in the National Rugby League. The Commemorative Dinner will be taking place at The Great Hall, NGV International, on Friday June 22. Emerge Festival continues this week, celebrating Victoria's many diverse refugee and emerging cultures in a series of exciting events around Melbourne. With shows running up until July 22, this dynamic arts festival commemorates the United Nations World Refugee Day and this year will officially launch Refugee Week in Victoria this Sunday. 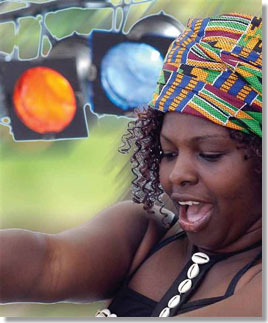 From Africa to the Far East, the traditional to the contemporary, music, dance, theatre, visual arts, cultural foods, crafts and ceremonies - there is something for everyone! Varekai - Cirque du Soleil - Final Week! Cirque du Soleil ends their tour in Melbourne this week on June 24 at The Oval at Melbourne Park. 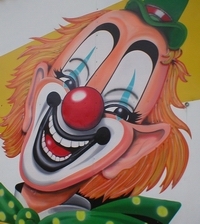 Their production pays tribute to the nomadic soul, to the spirit and art of the circus tradition. This is the last week to catch the impressive show so get tickets while you can! 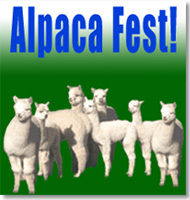 Alpaca Fest - Free festival for Kids this weekend! Independent Games Exhibition - Free exhibition at ACMI for kids and big kids at heart! National Social Cohesion Symposium - Addressing social integration..
Childhood Fears is the latest photographic series by Samantha Everton, expressing the universalities that span cultural and social divides and connect us all in a common thread of humanity. 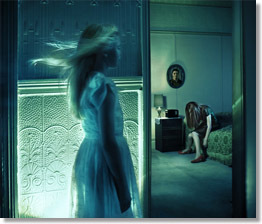 In reawakening our perception of these fears, Samantha Everton offers all children a sense of validation with these images that are both hauntingly beautiful and deeply compelling. 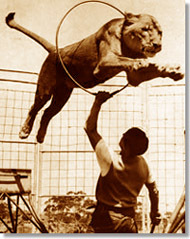 The Circus Diaries is a photographic exhibition that celebrates the living tradition of Australian family circuses. Telling the history with a series of portraits - old and new - the exhibition also features family movies, oral histories and tales of life on the circus road. The exhibition is an intimate portrait of the many people and families who have contributed to circus tradition in Australia over the past 170 years. Now showing at The George Adams Gallery, Arts Centre, until July 15. 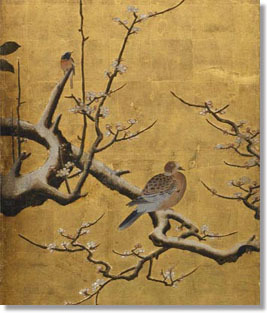 Offering a beautiful glimpse into Japan's rich history, the exhibition is not to be missed. Sneakers - Classics to Customs explores a number of themes which reflect the evolution of sneakers from functional sportswear to cult fashion. The exhibition displays over 300 pairs of the most style worthy sneakers, featuring works that have been sourced from private loans, mostly Melbourne and Sydney collectors. 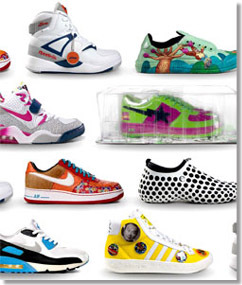 Featuring music and animation, the exhibition also highlights some of the music, dance and sports subcultures that are linked have inspired particular sneaker fads over recent decades. Miss (you) Melbourne is a comedic tribute to our fine city, from the backyard joys of the outer suburbs to the funky inner-city vibe. With shows running from June 19 to June 30, Miss (you) Melbourne is an evening of comedy from some of Australia's best known and hottest new female comics. Comics included in the Miss (you) Melbourne shows include Judith Lucy, Denise Scott, Rachel Berger, Sue-Ann Post, Corrine Grant and many more guests! If you Love Melbourne and love having a good laugh, this is an evening not to be missed! New Romantics is a lyrical triple bill with all the beauty of classical ballet yet holding a contemporary edge. The Melbourne season of New Romantics will run at the Arts Centre from June 22 to July 3. A treat for dance and music lovers alike, New Romantics features wonderful and diverse musical scores by Stravinsky, Tchaikovsky and P�rt, performed by Orchestra Victoria. eigenSinn is the first full-length solo of the young dancer and choreographer Antje Pfundtner. 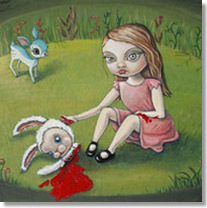 The title, eigenSinn, is a pun on "wilfulness" and "one's own sense/sensuality", based on the The Grimm brothers' tale of The Wilful Child, in which a little girl pays bitterly for insisting on having her own way. 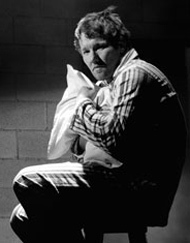 The performance is a metaphor for the desire to experience oneself sensually and to have one's own identity accepted by others. Starring Rhonda Burchmore, Respect is playing at The Palms, Crown Casino, until June 24 - an entertaining show with a fabulous, feel-good climax and a stunning array of much loved songs! Melbourne gets only one game this week as Round 12 continues.. But next week we're treated to 4 - so warm your cockles with that thought! Melbourne Storm welcomes your support as they commence their 2007 Premiership campaign! With Minor Premiers honours and a Grand Final appearance behind them, the Storm are looking to take it one step further this season! Burlesque Hour MORE!! is the smash hit sell-out success of festivals everywhere, returning to Melbourne at last! The shows begin June 21 at fortyfivedownstairs, and will continue until July 15. The multi award winning show is a mind-cracking mixture of shock cabaret, brand new acts, and luminous guest stars! Internationally acclaimed Queen of Cabaret Bizarre, Moira Finucane is joined by burlesque star, Azaria Universe and Japanese butoh dancer, Yumi Umiumare to shake, stir and shock your sensibilities in a whole new way! The Impro Cave returns this week to light up your Sunday nights with its monstrously funny collection of formats and shows-different every week! Beginning June 17 through to August 26, you can eliminate your winter blues every Sunday as Impro Melbourne's indomitable league of improvisers materialise from the shadows to light up the stage! This six piece band plays every popular style of music from early 50's rock-'n'-roll through to jazz, soul, disco, Motown and current top 40. Playing everything from the Black Eyed Peas to Santana, James Brown to Tom Jones, Ricky Martin to Stevie Wonder...'Code One' really knows how to rock! This Sunday 12 - 2 pm. Alpaca Fest is held in Werribee Park this weekend - June 23 & 24 - featuring more than 200 alpacas from Victoria and interstate on show. Alpaca Fest provides an opportunity to get up close and personal with an Alpaca judging competition, and demonstrations of felting, spinning and weaving with alpaca wool. Entry to Alpaca Fest is free - so bring the family along, say 'hello' to these special animals, and find out why they have become so popular! Independent Games Festival Exhibition - ACMI is currently hosting an exhibition of selected winners and nominees of the Independent Games Festival, the 'Sundance' Festival of the computer gaming industry. 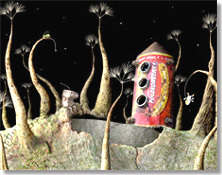 The exhibition is free and features a stunning and sensational selection of work such as Samarost 2 (pictured) by Amanita Design who took the prize for best Web-Browser Game. With creatures on display from creators such as the John Cox Creature Workshop (pictured) the exhibition is a delight for children and people of all ages. Winding its way through lush ferns and towering timbers, this fantastic tour includes wine tasting for the adults and also a trip to Healesville Sanctuary! Circus Oz returns to Melbourne, with performances from June 20 to July 15. They will be performing Under the Big Top at Birrarung Marr, situated near Federation square. Circus Royale is an unforgettable 2 hour show featuring high wire walkers, swing trapeze, comedy, acrobats and more! Circus Royale will be performing from June 20 to 24 in Deer Park at Station Road, next to Brimbank Central Shopping Centre. 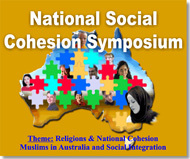 The National Social Cohesion Symposium, taking place on June 22 at Monash University - Caulfield Campus, addresses important matters regarding our nation and the future of social harmony. By avoiding ideological differences and stereotyping, the symposium highlights realistic social policies in relation to the integration of Muslims, within the context of social cohesion and intercultural harmony. Bean Bag Lounge - Bean Bags that are more like designer european sofas! 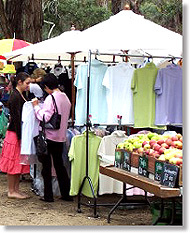 Mental Health Research Institute - A leader in the field of psychiatric research..
Ishvara - Wholesalers of exquisite, imported Indian goods & clothing..
Hipnotic Beats Belly Dance - Teaching the joy & beauty of belly dance ..
Caulfield Auction Centre - Specialists in auctions, both on-site & online.. 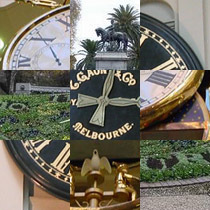 There are 3 overlaying pictures of well-known Melbourne Clocks here, but parts of each picture have been removed. One of them is fairly obvious, but if the other's leave you standing around, staring blankly, then you're in good company! :: My favourite is Dory, I loved her, I laughed so much how she always forgot who she met and things. She was a nice character. :: My favourite character in 'Finding Nemo' is Dory because like chocolate, she's sweet, a bit nutty and everybody loves her! :: I absolutely adore, er, what's her name? That frightfully forgetful fish, um, in the story, oh dear, yes...it's Dory! We received nominations for Nemo, Marlin (Dad) and even Bruce (shark)..
A late run of entries showed Crush (turtle) was also very popular..
Starfish is my favourite character. He saved the day by telling Nemo how to get out of the bad place.